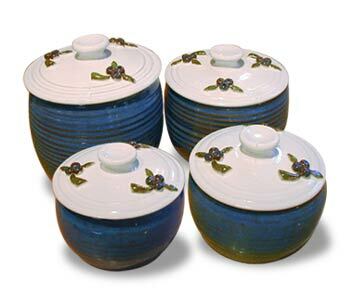 This beautiful 4 piece set looks wonderful clustered together on your kitchen counter. Holds your bag of flour, your bag of sugar, can of coffee and tea bags. Your complete cooking needs.